[S225] LDS Church, "John Street Pedigree." John Marvin Denbow was born in December 1893 at Morley Township, Scott, Missouri, USA. He married (?) Stella in 1920 at Scott, Missouri, USA. John Marvin Denbow died in 1950 at Morley Township, Scott, Missouri, USA. JW Denbow and his wife Susannah Paith. John William Denbow was born in 1868 at Monroe, Ohio, USA. He married Susannah Paith in 1888 at Monroe, Ohio, USA. John William Denbow died in 1939 at Monroe, Ohio, USA. Johnry Malery Denbow was born on 4 November 1868 at Pleasant Hill, Dallas, Alabama, USA. He died on 5 August 1871 at Pleasant Hill, Dallas, Alabama, USA, at age 2. Jonnie Denbow was born on 25 December 1877 at Rosamond, Christian, Illinois, USA. He died on 31 July 1878 at Rosamond, Christian, Illinois, USA. Joseph Denbow was born in 1849 at Missouri, USA. He married Sira Gosset on 18 September 1872. 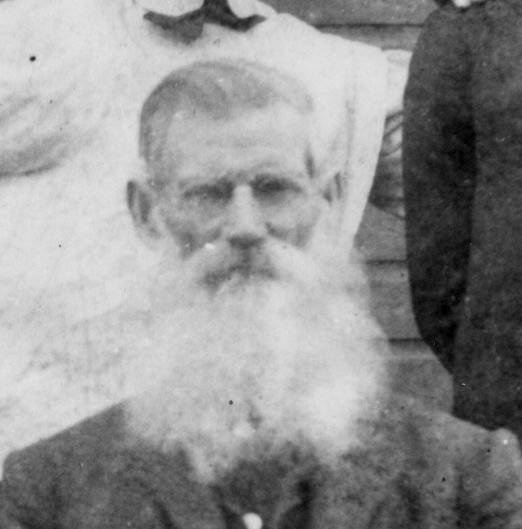 Joseph Denbow married Elizabeth Thompson in 1884. Joseph Denbow Reference: Data from his descendant, Gary A. Denbow. Joseph H. Denbow was born on 29 December 1861. He married Susannah A. Dearth in 1883 at Monroe, Ohio, USA. 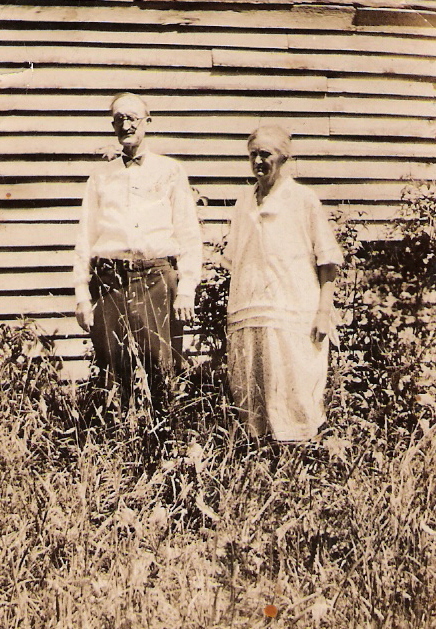 Joseph H. Denbow married Mollie Leasure in 1890 at Monroe, Ohio, USA. Joseph H. Denbow Thompson Genealogy books says he had no children and lists no spouse. [S48] Amanda O'Neal Sellers, "Martin Denbow and his line to Amanda O'Neal," e-mail to Carl J. Denbow, 14 Aug 2012. [S48] Amanda O'Neal Sellers, "Martin Denbow and his line to Amanda O'Neal," e-mail to Carl J. Denbow, 14 Aug 2012, Also includes references to Amanda's tree on ancestry.com. Josephine Denbow was born in 1880 at Monroe, Ohio, USA. She married George W. Sebaugh in 1890 at Ohio, USA. Her married name was Sebaugh. Julia A. Denbow was born on 12 May 1869 at Illinois, USA.1 As of 1889,her married name was Hargis. She married James Hargis in 1889. Kenneth Wilbur Denbow was born on 30 July 1920 at Lewisville, Monroe, Ohio, USA. He died on 24 August 1993 at Ashland, Ashland, Ohio, USA, at age 73. He was buried on 24 August 1993 at Sullivan, Ashland, Ohio, USA. [S5] Interview, Larry Thomas Denbow, 1992-present. L. Russell Denbow was born on 16 April 1925 at Pleasant Grove, Muskingum, Ohio, USA; Three miles east of Zanesville, now the Adamsville exit. He was Master meat cutter; managed market from 1950-63; owned from 1963-71,it was then known as Denbow Sanitary Meat Market. Lacy Denbow was born in 1906 at Navarro, Texas, USA. She Reference: Knowledge of brother, C. G. Denbow. Says they had 2children. Her married name was Paschel. Laura D. Denbow was born in 1902 at Monroe, Ohio, USA.1 She married James V. Brown in 1922 at Ohio, USA. Her married name was Brown. Lee Alison Denbow was born in 1907 at Navarro, Texas, USA. He References: Navarro Co. residents in WW II. He was killed in WWII. He died in 1944. He was buried at Corsicana, Navarro, Texas, USA. Levi Denbow was born on 29 November 1832 at Monroe, Ohio, USA. He married Rachel Morris in 1857. Civil War Veteran: Sept. 29, 1864-May 30, 1865. Fought in Battle of Bentonville, N.C. (Drafted.) Levi Denbow began military service on 29 September 1864 at Co. K, 78th OVI.1 He ended military service on 30 May 1865 at Washington, District of Columbia, USA; His pension record is a little unclear. He is listed as having become ill near Savanah, Georgia, on 20 Dec 1864. However, it's not clear if he was sent home at that time, or if he stayed with the regiment in a non-combat status until they reached Washington, D.C.1 He died on 10 September 1911 at Lewisville, Monroe, Ohio, USA, at age 78. Lucille Denbow was born in 1902 at Navarro, Texas, USA. Lydia Denbow was born in February 1897 at Morley Township, Scott, Missouri, USA. Her married name was Crane. She died in 1950 at Morley Township, Scott, Missouri, USA. Maggie Denbow was born in 1885. Mamie Denbow was born in 1880 at Ohio, USA.1 She married Ralph Edwards in 1900 at Ohio, USA. Her married name was Edwards.